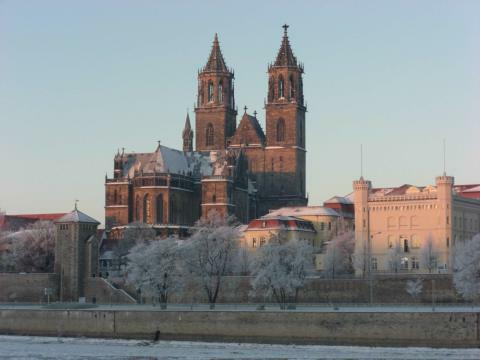 Monumental expressions of sublime architecture and the power of the Church: Historic buildings in Germany like the Magdeburg Cathedral. Spend exciting and relaxing days in wintertime Germany and, during your stay at the Maritim hotels, enjoy the special service and the extensive breakfast buffet for a perfect start to the day. Lindenmuseum Stuttgart: Do not miss the fascinating exhibition "The world of shadow theatre"
And the best: From 16th December 2016 to 26th February 2017 you will receive a discount of up to 20%! Winter Highlights: Maritim city hotels in Berlin, Bonn, Bremen, Cologne, Darmstadt, Dresden, Düsseldorf, Frankfurt (Main), Fulda, Gelsenkirchen, Hanover, Bad Homburg, Kiel, Königswinter, Magdeburg, Mannheim, Munich, Nuremberg, Bad Salzuflen, Stuttgart, Ulm as well as Bad Wildungen and Würzburg or Maritim Resort Hotels in Braunlage, Heringsdorf, Sassendorf, Rheinsberg, Timmendorfer Strand, Titisee-Neustadt and Travemuende. During the winter months Maritim serves delicious and seasonal meals in all Maritim hotels throughout Germany. Whether as a winter menu or individually selected - the winter creations will spoil you with culinary delights.